Workday was founded in 2005 by PeopleSoft founders Dave Duffield and Aneel Bhusri, following PeopleSoft’s well-reported hostile takeover by Oracle. The company's Human Capital Management (HCM) software product launched in 2006. Since then, Workday has been one of the most discussed, debated and successful enterprise software vendors in the HR and payroll software market. The company's rise is in part due to pioneering the Software-as-a-Service (SaaS) movement into the HR and payroll software sectors, and also in part by taking on the largest enterprise software vendors in the HR technology space—namely Oracle, SAP and Infor. Today, the Pleasanton, CA-based Workday still leads the way in changing the way payroll and HR software are procured and utilized. Duffield and Bhusri’s vision was to return the focus of HR and payroll software back to innovation and service; essentially looking to give end users what they wanted. As Duffield says, "I started Workday to bring passion and customer focus back to the business of enterprise applications." The first software product offered was the core Workday HCM software; since joined by Global Payroll, Financial Management, Spend Management, and the Initiatives business intelligence solution. Thomas Otter, while he was still at Gartner, noted that "Workday's progress confirms that it is making waves in the enterprise human capital management (HCM) market," and also, "CIOs can expect Workday to be increasingly prominent in HCM software and, eventually, financials and procurement." Presently, Workday counts over 2 million workers using its software. In contrast to many software competitors rapid expansion through acquisition, Workday's market share has been reached via a strategy of organic growth, and in large part steadily attracting new customers with its sharp focus on technology and SaaS delivery. Workday may not always be the fastest vendor to market (i.e. it took nearly 3 years for a payroll service to be offered for U.S. customers, and much longer for financials) but the measured approach appears to be paying off. Human Resource and payroll software functionality may be where Workday began, but its offering has expanded to appeal to ERP customers that would normally gravitate towards the likes of Oracle and SAP. Additionally, the company is moving strongly into the talent management software market, an area previously under the domain of one-time best of breed solutions such as Cornerstone OnDemand, SumTotal, Taleo, and Ultimate Software. While this enhanced product range does not necessarily add directly to Workday’s payroll offering, for buyers in search of an end to end and integrated HCM suite from a single supplier, Workday’s payroll solution could be part of a very attractive whole. As with any expansion into new realms, there is a risk of over-reaching and leaving gaps in applications and Workday seeks to address this potential problem by forming strategic alliances to ensure the availability of a complete solution, including JobVite (recruiting), Saba (social learning), Salesforce.com (CRM), Tidemark (analytics), and Zuora (subscription billing). However, strangely, Workday’s partnership roster includes Cornerstone OnDemand, ADP, Ceridian, and Kronos; all of which are competitors to some extent (ADP, Ceridian and Kronos all carry strong payroll contenders). Each of these partners have significant competitive overlap. Returning to the technology itself (always at the heart of Workday’s strategy), Workday software shows the usual array of enhancements across the application suite, such as integration with Microsoft Outlook and Salesforce.com's Chatter, as well transaction reporting via Workday's Object Management Server. 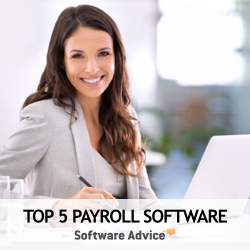 On the payroll front, there is Canadian customer payroll support, a bi-directional connector which allows the importing of data from a third-party payroll provider back into an HCM solution. Finally, they have strategic partnerships with payroll service providers OneSource VHR, SafeGuard World International and CloudPay (previously Patersons).